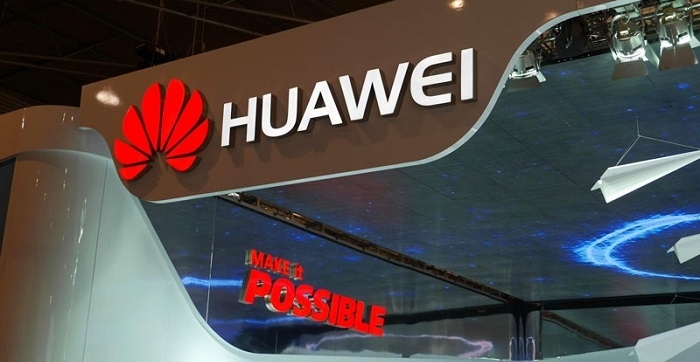 Huawei has introduced its new 5G-oriented X-Haul mobile bearer solution. The solution is meant primarily for four core applications, i.e., providing flexible access capabilities that can match the scenario of any site; implementing agile network operations based on cloud architecture; enabling new service innovation through end-to-end network slicing; and supporting smooth evolution from 4G bearer networks to 5G bearer networks. To comprehensively support operators' 5G service expansion, Huawei launched the 5G-oriented mobile bearer solution X-Haul to help operators build end-to-end 5G networks. To support diverse 5G access methods, the Huawei X-Haul provides an overall solution with full fronthaul and backhaul coverage, implementing flexible access in all scenarios. Flexible networking is implemented through the IP, microwave, and OTN access technologies, enabling unified fronthaul and backhaul bearing whether or not optical cables are used. For backhaul scenarios in areas that have a high population density, Huawei launched the industry's first 50GE/100GE adaptive network slicing router, which provides seamless 100GE compatibility even when providing 50GE base station access. For scenarios where optical cables are not used, Huawei launched industry's first 5G-ready microwave solution. Smooth capacity upgrade is supported through the use of a same frequency band or inter-frequency band Carrier Aggregation (CA) technology, which enables any-media 10GE to site. For fronthaul scenarios, the company launched industry's first 100G Full-outdoor WDM device, which is deployed at the same site as the base station to save optical cable resources. The X-Haul uses the Flexible Ethernet (FlexE) technology to implement end-to-end network slicing and help operators accelerate new service innovation. The technology can divide a single physical Ethernet port into multiple Ethernet flexible hard pipes based on timeslot scheduling, implementing service statistical multiplexing in the same slice while without services affecting each other in different slices. Through the Network Cloud Engine, end-to-end coordination between FlexE-based network slices and wireless and core networks is achieved, with support for the flexible slice creation, on-demand bandwidth adjustment, on-demand service-level agreement (SLA) assurance and rapid fault location for each network slice. This enables one network to serve multiple purposes, maximizing backhaul network value. Finally, Huawei X-Haul supports future-oriented evolution through the flexible expansion and upgrade of existing networks. It introduces the innovative, highly cost-effective 50GE technology at the access layer, which reduces CAPEX by 30%, while enabling smooth future upgrade to 100GE based on FlexE. At the aggregation and core layers, which use the IP + optical two-layer architecture, the IP layer supports 200GE/400GE interfaces, and the optical layer implements one-hop transmission of wavelengths. Single-wavelength bandwidth can be expanded on demand to 200G/400G. This enables 4G-to-5G bearer network evolution, which will maximize operator investment. At present, Huawei has successfully deployed over 190 mobile bearer networks in more than 100 countries, which bear more than 2.8 million base stations, serving 1/3 of the world's users. Dedicated to providing innovative 5G bearer solutions Huawei is working together with industry partners to promote 5G bearer-related technologies to be standardized by international standards organizations, including FlexE, network slicing, low latency, network expansibility, high-precision clock, 50GE/200GE/400GE, and millimetric wave, etc. In addition, it is also working in close cooperation with industry chain partners to accelerate the widespread commercial adoption of 50GE. Huawei will comprehensively demonstrate how X-Haul will help operators keep up with service requirements in the 5G era, promoting the full deployment of 5G bearer networks at the upcoming Ultra-Broadband Forum (UBBF) 2017 to be held from October 18 - 19 in Hangzhou, China.